Nortec Software provides a number of invaluable solutions for your patient provider needs. 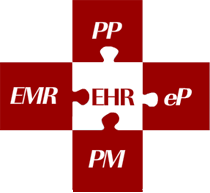 Our Electronic Health Record (EHR) provides customers a complete and integrated management solution for your practice. Our physician solutions improves patient care, enhances practice performance, increases physician efficiency and supports research. With Nortec EHR, providers are able to proactively monitor and manage care for their patients, promote patient safety, and improve overall patient health as a result of improved continuity and coordination in patient care.